In the beginning, God created: the heavens and the earth; the light and the dark; land and sea; food and trees; the animals, fish and birds; and last but not least, made man. The ultimate Creator created you in His image. You are invited to continue His legacy and use your creative talents; add color and doodles to make these original pictures ‘pop’ right out of the page. Colors of Unfrozen breathes new life into the Art of Coloring. It is the first adult coloring book to integrate devotional experiences for the reader. Each exquisitely detailed page has captivating, unparalleled combinations of pictures, patterns and zootangles. Each is interwoven with Bible passages and uplifting quotes to help you de-stress by reflecting, relaxing and rejoicing in His work. Over 70 devotionals on Bible verses bringing insight, illumination and inspiration into your daily life. Over 70 uplifting quotes which will make your day. BONUS – Have fun finding the 70 ‘secret’ psalms, hidden in the pictures. 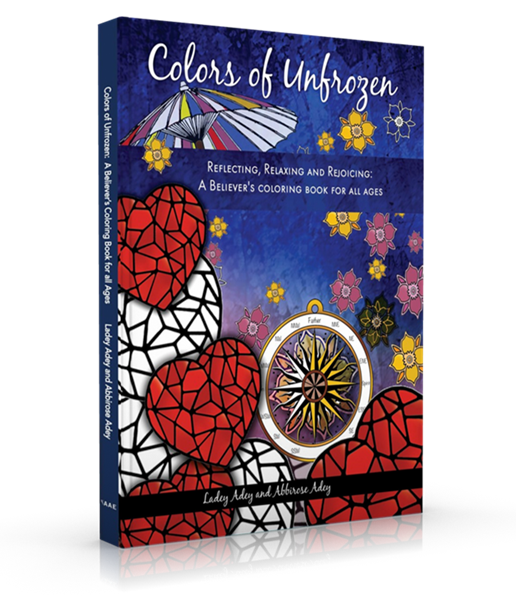 Ladey and Abbirose present Colors of Unfrozen, the first adult coloring book to integrate devotional experiences for the reader. 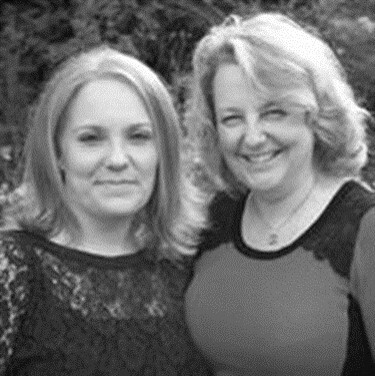 They have enjoyed their collaboration working as friends who are also mother and daughter. Ladey is an Author, Coach and Speaker. Colors of Unfrozen is her second book with the AAE family and continues the Unfrozen story. Abbirose works in Primary Education as a Teacher and previously served in the British Army. She has created the amazing images to match the beautiful devotionals written by her Mum.